Editor’s note: The AZGFD fishing report is a free resource meant to inform anglers, and remember that nothing beats spending time on the water to figure out what’s biting. Help us keep these reports fresh for your fellow anglers by sending your reports and photos to BFishing @AZGFD.gov – one will be selected for Catch of the Week. Finally, reports from guides, tackle shops or angler groups are not endorsements. OK, on to the full report. SAGUARO LAKE – The lake is 1,523 feet (91-percent full). Largemouth bass caught by guide Scooter Griffith during a recent night tournament. Scooter Griffith from The Arizona Fishing Guides reported Wednesday, Aug. 30 that the largemouth bass bite during the day is pretty good on frogs, and deep-diving crankbaits as the sun gets higher. 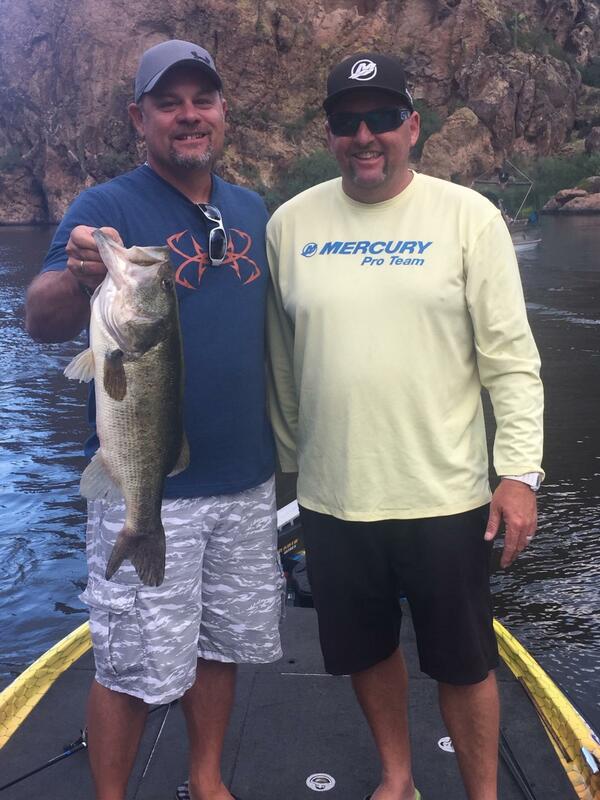 Along with guide Jim Sandy, Griffith won a recent tournament catching three 5-pounders on dropshot-rigged Arizona Custom Baits worms in Scooter’s Special color. As usual, angler success has still been somewhat dependent on if water is released from Canyon Lake into Saguaro. The upper end of Saguaro has been good while water is released. Some anglers are having success with average-to-large largemouth bass using swimbaits (shad patterns) and crankbaits. Crawdad imitations at night also have been effective. Shore anglers should get out early (5 a.m.) because during the summer many bass will be holding in deeper water as the sun comes up. Don’t fish below about 20 feet — there is little to no oxygen. Yellow bass is an option if the largemouth bass are finicky. Try nightcrawlers on dropshot rigs. ROOSEVELT LAKE — (2,118 feet, 63-percent full). Roosevelt Lake water level recently dropped 2% and now stands at 63% full. This is driven by the lower flows into the lake since the monsoons have slowed. The Salt River is flowing at 75% of the normal rate and the Tonto Creek has again stopped flowing. Water is continuing to be drawn down for lower elevation use and this trend will continue for the next couple of months. The water temperature is now the low 80’s and the water clarity is extremely clear. Good to excellent fishing conditions are being reported from Roosevelt and Apache Lakes. As the water temperature falls, fish become more active and the oxygen level increases which is beneficial to all species of fish. Large schools of Thread-Fin and Gizzard Shad bait fish are being reported which indicates a successful spawn this past spring. Those fry have now grown into fingerlings which are a couple of inches long. These shad typically begin to form into large schools and will move to shallower depths as the water temperature continues to fall. Experienced anglers know that when there is bait in an area of the lake, the bass will not be far behind. Any type of reaction baits will work given the current water conditions. Lipless style crank-baits, jerk-baits, spider-baits, spinners and frog baits have all be reported successful. Most bass chasing shad are in the 12′ to 14″ size but it can be a fun day on the water with a lot of action. Larger bass seek the solitude of deeper cooler water. Caroline-rigged 10″ worms, Texas-rigged 6″ worms and jigs can make a memorable fishing trip to Roosevelt Lake if you’re willing to give up quantity for quality. The Gila County Roundtable members and all Rim Country volunteers are being requested to assist the AZGFD with the assembly and deployment of fish habitat structures into Roosevelt Lake. Rim Country anglers know that the deployment of habitat along with stockings of Florida Strain Bass is the Department’s solution to the over-population of gizzard shad in the lake. The work will be performed at the Windy Hill and Cholla Recreational Sites on October 2, 3 & 4th starting each day at 9:00AM. To sign up your volunteer group or individuals, contact Amberle Jones, Aquatic Habitat Specialist, at akjones@azgfd.gov or call her at 623-236-7593. LAKE PLEASANT – (Lake elevation 1,660 feet, 56 % full). Other reports are that fishing is still decent but anglers have to look a little harder for the fish than compared to a week ago. Surface water temperature had been around 85 in the river and 87 degrees in the main lake. The lake level has dropped 3 feet during the past week. Other reports indicate striped bass fishing is great anywhere from 40- to 70 feet of water. Many anglers had great luck fishing at night during the recent full moon. This waxing gibbous moon will become a new moon Aug. 21, when using submersible lights at night will become extremely effective. As summer goes along, shore anglers will have a tougher time reaching bass, which move deeper. Best bet right now for shore anglers is still fishing at night by the marina, or targeting carp and catfish. Flathead catfishing also is excellent. Fish shallow during the nighttime with bluegill or carp as bait. 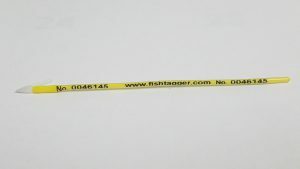 Note: The Arizona Catfish Conservation Association, a 501c3 non-profit club based in Arizona, is asking anyone who catches a tagged flathead or channel catfish at Lake Pleasant or Bartlett Lake to note the number of the tag, along with any other information such as weight, length or girth, GPS coordinates (if available) and then visit www.catfishaz.com. BARTLETT LAKE – Lake elevation is 1,791 feet, feet, 90 % full. Scooter Griffith from The Arizona Fishing Guides said Wednesday, Aug. 30 that Bartlett is still fishing great with lots of fish coming on reaction baits during the day, but action slowing down at night. Gary Senft, Bass Pro at the Mesa Bass Pro Shops, said Wednesday storms have made the bass bite inconsistent at times, and the key is to keep moving and locate shad to find the nearby bass. Fish are typically not in the same place they were the day prior. He said small top-water lures like Pop-Rs and rip baits have been effective early with dropshot Roboworms in morning dawn, and green and browns colors being effective later in the day. The flick shake rig has been very effective for bass as well — see a how-to video. Water temperature has been in the high 80s. Our water quality monitoring 3 weeks ago showed there was no oxygen below 20 feet deep. Flathead catfishing also can be excellent. Fish shallow during the nighttime with bluegill or carp as bait. Don’t forget the Bartlett Lake Marina is now open. See www.bartlettlake.com or contact 480-221-0503 for more information. Largemouth bass caught by an angler at Canyon Lake using a cherry-picker jerkbait by Livingston Lures with guide Scooter Griffith. Typical summer pattern is in effect — top-water lure early in the morning, and dropshots and Texas rigged worms as the sun comes up. Traditionally, Canyon is the land of lunkers when it comes to bass. For better numbers, try Bartlett or Saguaro. A fishing pier is now open to the public as of Aug. 21 at the Boulder recreation site of Canyon Lake. Located in the Tonto National Forest’s Canyon Lake, the Boulder recreation site is 15 miles northeast of Apache Junction on State Route 88. The pier is the culmination of a joint effort between the U.S. Forest Service, the Arizona Game and Fish Department and Canyon Lake Marina to remove the original, 20-plus-year-old pier damaged by storms during the summer of 2015 and replace it with a modern pier. Funding for the pier came from Forest Service fees collected at developed recreation sites, such as picnic areas, campgrounds and boat launch areas. AZGFD is aware of a minor fish kill that occurred at the lake a couple weeks ago — the lake had tested positive for golden algae. The lake is clear of fish. APACHE LAKE – Lake elevation is 1,907 feet (93-percent full). Scooter Griffith from The Arizona Fishing Guides said Wednesday, Aug. 2 that the lake (as well as Roosevelt) is going strong for largemouth bass with some top-water action early in the morning — look for birds to find schools of fish and watch your graph for the deeper schools and drop a spoon down for some exciting action. The water quality is good. Apache is also full of some really nice yellow bass. Fish deep with gold KastMasters or yellow/gold Rooster Tails. COMMUNITY FISHING WATERS — See the latest Community fishing news. Catfish stockings are on hiatus for the summer but return in late September! Keep in mind that some parks close at hours designated by their respective city. Be sure to consult the latest CFP guidebook for closing times at spots such as Steele Indian School Pond, Surprise Lake, Pioneer Lake, Rio Vista Pond, Friendship Pond, Bonsall Pond, and Tempe Town Lake (closes on the marina side). HORSESHOE LAKE – Lake elevation is 1,977 feet (14-percent full). There are reports that a bunch of 4- to-6-inch largemouth bass were recently released downstream into Bartlett Lake. When the lake is full, there are a lot of spawning fish. No new reports. LOWER SALT RIVER – On Thursday afternoon, the river was flowing at 997 cfs out of Stewart Mountain. No new reports of success. Remember that the walk to the shoreline is steep, and don’t wade into the river because of quick-sand spots. Try nightcrawlers, small spinners, Kastmasters and flies in this unique desert river trout fishery. You might be able to catch some bass or sunfish in the deeper holes. Good time for tubing the Salt — take along a fishing rod. Fishing for trout in the lakes is difficult this time of year because of water quality conditions. Instead, try fishing in any of the stocked streams including Silver Creek, East Fork Black River, Little Colorado River in Greer or Show Low Creek just downstream of Show Low Lake. Fishing in the streams should be good because of better water quality, as long as the flows are not high due to monsoon rains. 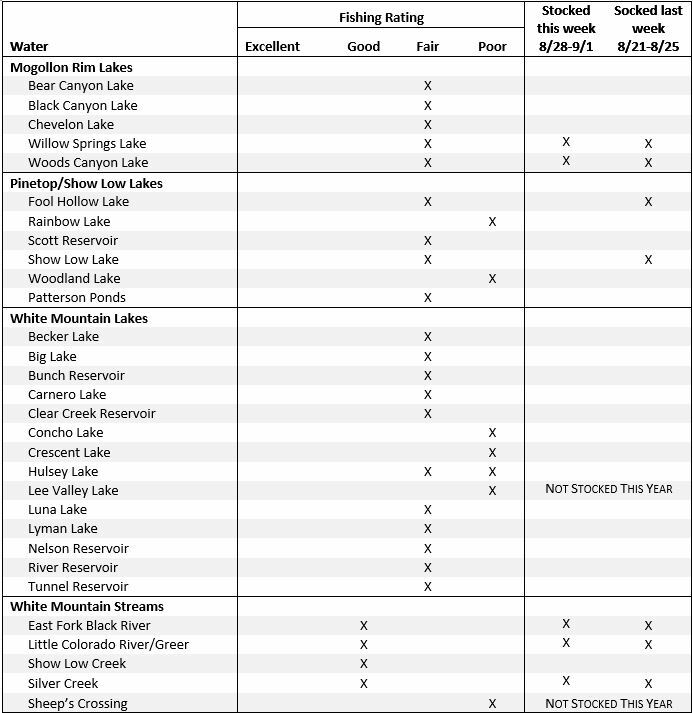 Woods Canyon and Willow Springs are the exception and are stocked weekly, however the fishing in these lakes has been slow. Try fishing about 10 feet down as the trout seek colder temperatures in deeper water during mid-day. If trout aren’t biting, try fishing for sunfish along the shoreline with a small hook and piece of worm. BEAR CANYON LAKE – Fishing is fair. Rainbow trout were last stocked several weeks ago. Try PowerBait and nightcrawlers about 10 feet down. BLACK CANYON LAKE – Fishing is fair. The lake was stocked last in June. Try PowerBait and nightcrawlers. The surface is warm, so fish about 10 feet down. The lake is only 3 feet below spill and the new boat ramp is still fully functional. CHEVELON LAKE – Fishing is fair for stocked rainbows and wild brown trout. Chevelon Lake is a hike in lake with a two trout limit and artificial fly/lure only regulations. The surface temperatures are warm, so fish about 10-15 feet deep. WILLOW SPRINGS LAKE – Fishing is fair for rainbow trout and poor for tiger trout. The lake was stocked last week and will be stocked again this week, however, the trout being stocked are small. Try PowerBait with garlic, worms, Kastmasters, or Panther Martin spinners for rainbows. The surface temperatures are warm, so fish very early or very late in the day for best results. Also, try fishing about 10 feet down at the thermocline for trout. The surface water is too warm for trout during the middle of the day, so they go deep to find colder water. But don’t fish too deep, as there is no oxygen in water deeper than 15 feet. If fishing is very slow for trout, kids can catch lots of sunfish in rocky areas along shorelines with a small hook and piece of worm. WOODS CANYON LAKE – Fishing is fair for rainbow trout and poor for tiger trout. The lake was stocked last week and will be stocked again this week, however, the trout being stocked are small. Try PowerBait with garlic, worms, Kastmasters, or Panther Martin spinners for rainbows. The surface temperatures are warm, so fish very early or very late in the day for best results. Also, try fishing about 10 feet down at the thermocline for trout. The surface water is too warm for trout during the middle of the day, so they go deep to find colder water. But don’t fish too deep, as there is no oxygen in water deeper than 15 feet. If fishing is very slow for trout, kids can catch lots of sunfish in rocky areas along shorelines with a small hook and piece of worm. FOOL HOLLOW LAKE – Fishing is fair for stocked (12”+) rainbow trout! Supercatchable rainbows (12”+) were stocked last week. Fish about 10-15 ft down for trout. The fishing piers and platforms are accessible. Bass and catfish are also being caught. Sunfish can be easily caught on a size 12 hook with a small piece of worm in rocky or weedy areas. RAINBOW LAKE – Fishing is poor for trout, but good for sunfish, bass, and bullheads. The lake level is a few feet down and the weeds are thick. Sunfish can be caught on a size 12 hook with a small piece of worm, in rocky or weedy areas, or black bullhead on the bottom with a size 6 hook and a half or full worm. The White Mountain Bass Fishing club recently adopted the lake and cleaned up trash along the public shoreline. Please don’t leave your trash around! SCOTT RESERVOIR – Fishing is fair for stocked rainbow trout, but good for catfish. Try for catfish with a worm or chicken liver on the bottom. SHOW LOW LAKE – Fishing is fair for stocked (12”+) rainbow trout. Supercatchable size (12”+) rainbow trout were stocked last week. Fish about 10-15 ft down for trout. New facility improvements, including a new fish cleaning station, new restrooms, stairs from the upper parking lot down to the boat launch, and ADA boat trailer parking are open! If fishing for trout is slow, kids can catch sunfish on a size 12 hook with a small piece of worm in rocky areas. WOODLAND LAKE – Fishing is poor. Fish were last stocked in late-May and the lake is very weedy. The fishing dock is accessible. PATTERSON PONDS – Fishing is fair for catfish! Channel catfish were stocked in June. A regular fishing license or a community fishing license is required to fish here. The pond daily bag limits in community fishing waters (2 trout; 2 catfish; 5 sunfish) apply. Please use good catch and release methods if you are releasing fish. If the gills are bleeding, the fish will die, and is best kept so it doesn’t go to waste. If the hook has been swallowed or is stuck, just cut the line, and the fish has a better chance of surviving that trying to pull the hook out. BECKER LAKE – Fishing is fair. Becker Lake is open to catch-and-release only for trout, artificial fly and lure only; single barbless hooks only. No bait. No trout may be kept. Large rainbow trout are being caught nymph fishing under a strike indicator at 12-15 feet. Fishing is on and off however. BIG LAKE – Fishing is fair for rainbows, but good for cutthroat trout. Try flyfishing or lures for cutthroat trout, including crayfish imitations. There is a severe algae bloom on the north end of the lake by the dam and in Railroad Cove, so fishing on the south side may be more productive. CARNERO LAKE – Fishing is fair. The lake is weedy. A pontoon, canoe, or kayak (something that glides over the surface weeds) is best. CLEAR CREEK RESERVOIR – Fishing is poor for trout, but fair/good for sunfish, bullheads, and bass. Sunfish can be caught on a size 12 hook with a small piece of worm, in rocky or weedy areas, or black bullhead on the bottom with a size 6 hook and a half or full worm. CONCHO LAKE – Fishing is poor. Trout were last stocked in April and the lake is low. Try catching catfish. CRESCENT LAKE – Fishing is poor. pH levels are coming down but the lake is weedy. GREER LAKES (River; Tunnel; Bunch) – Fishing is fair at Bunch, Tunnel, and River. Lake levels are low. The boat ramps are not usable at any of the Greer lakes. The curb at the boat ramp at Bunch is just under the water. 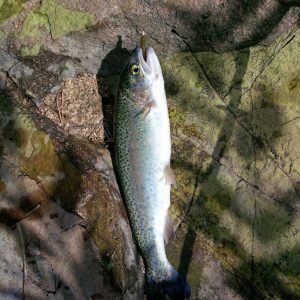 HULSEY LAKE – Fishing is fair/poor for rainbow trout. Fish were last stocked in mid-May. LEE VALLEY LAKE – Fishing is poor. Few fish remain here and will not be stocked this year. LUNA LAKE – Fishing is fair. The algae bloom has decreased and anglers are catching fish. Fish your bait, fly, or lure 5-7 feet down, but no deeper, as there is no oxygen deeper than 7 feet. LYMAN LAKE – Lyman Lake State Park is open. Fishing is fair for bass, carp, and catfish. Use corn or night crawlers for carp and catfish. NELSON RESERVOIR – Fishing is fair. A fish kill occurred several weeks ago due to low oxygen, but the lake has recovered and fishing should have improved a little. EAST FORK of the BLACK RIVER – Fishing is good for stocked rainbows. Rainbow trout were stocked last week and will be stocked again this week. Fishing is fair for wild brown trout. Water levels may be high due to monsoon rains. LITTLE COLORADO RIVER in GREER – Fishing is good for stocked rainbows. Rainbow trout were stocked last week and will be stocked again this week. Fishing is fair for wild brown trout. Water levels may be high due to monsoon rains. SHOW LOW CREEK – Fishing is good. The creek will be stocked this week with rainbow trout just below the Show Low Lake dam. The road over the dam is open, but please do not park on the dam. SILVER CREEK – Fishing is good. Rainbow trout were stocked last week and will be stocked again this week. Current regulations are catch-and-keep with bait and 6 trout daily limit apply. The upper section is closed to fishing. SHEEPS CROSSING/West Fork LCR – Fishing is poor and this stream will not be stocked this year. The lake is pretty muddy from all of the runoff in the recent weeks. Folks using PowerBait on the bottom are still catching some trout. We sampled the lake Aug. 14. Most of the crappie, bluegill and largemouth bass were caught along the north shore during the sampling. We also caught some really nice size brown trout on the west side of the lake. I did a creel census on the lake Monday. There were only four folks fishing and they weren’t having much luck near the fishing dock. There was a pretty heavy algae bloom in the area of the dam which may have chased all of the fish to the other shore. If there is an algae bloom on a lake, fish with the wind to your back. The wind will blow the algae away from you. We sampled Kaibab Aug. 15. Most of the fish caught were on the upper (east) end of the lake. We caught some nice sized largemouth bass along with crappie and bluegill. We sampled Cataract Aug. 16. We caught largemouth bass, bluegill and channel catfish during our sampling around the entire shoreline of the lake. We have been stocking small trout into Cataract Lake for the last couple of months. These fish are average about 7-8 inches when stocked. Cataract has done a good job of growing trout in the past so we are hoping these fish will be nice sized by fall. Has been stocked with channel catfish. I am still hearing reports of folks catching catfish using worms or hot dogs. We stocked some smaller rainbow trout into the lake last week. On Monday folks were catching trout on PowerBait and worms fished under a bobber. The ones the folks fishing were keeping were 8-9 inches. Has been stocked with channel catfish. There is a heavy algae bloom on the lake. I would make sure to fish with the wind at my back on Ashurst so the algae bloom is being blown away from me. Folks are still catching fish on Lower Lake Mary using lures, flies and worms under a bobber. We sampled Kinnikinick Aug. 7 to look at growth of fish. We caught brown trout, tiger trout and rainbow trout in our nets. The brown trout were feeding on crayfish and minnows. We caught fish near the weedbeds on both sides of the boat ramp. We also caught 2 brown trout in a net set on the bottom in 20 ft of water. I would try fishing small crayfish imitating crankbaits or small spoons to catch brown trout. Another possible way to fish is to catch some grasshoppers around the lake and fish them on the surface in the evenings. Very few fish can resist a big fat grasshopper kicking around on the surface of a lake or stream. This is also the time of year when catfishing can be good on Kinnikinick. Will not be stocked this year. 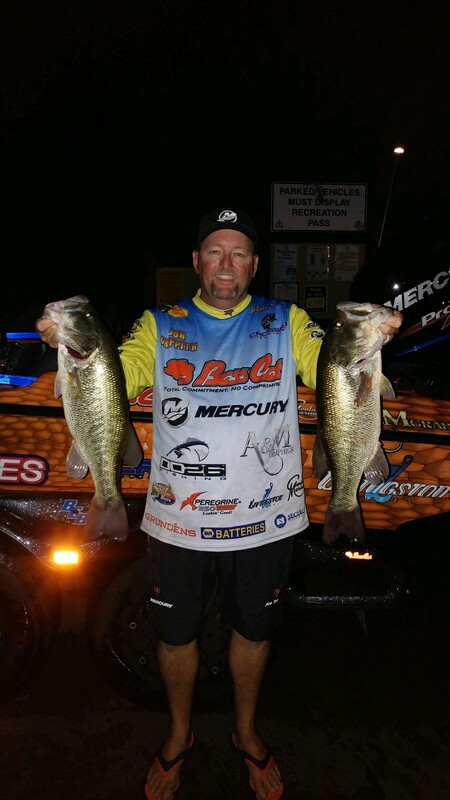 Michael W.: Non-Stop Action At Goldwater Lake! In 5 hours, I caught & released 69 Rainbow Trout ranging from 7 to 11 inches… All fish caught on 1.5 inch crappie tubes & 1.25 in split-tail grubs. Weather Conditions: Sunny with some clouds. Water Conditions: Slightly stained. Christianne D.: I caught a 21 3/4″ catfish at Lynx Lake using a weightless watermelon Senko at the bottom. My first catfish ever! (These are recommended fishing waters. Those not listed either are considered poor or there have been no reports. For more information, go to the Arizona Game and Fish Department at azgfd.gov or visit http://100thmeridian.org/. LAKE MEAD – The current elevation is 1079 feet above msl. South Cove launch ramp is getting runoff material deposited on the launch ramp due to the heavy rains that have hit the area. Because of this debris 4×4 may insure successful launch and retrieval. The next new moon is August 21st. Catfish and striper fishing is hot so take advantage of the unlimited take on less than 20 inch stripers. Use anchovies for stripers and catfish. The black bass bite is on but are a little harder to find. Fish the coves and aquatic vegetation either very early in the morning or at dusk. LAKE MOHAVE –The lake level is currently 645 feet above msl. The fishing dock at Katherine’s Landing can produce some nice fish. The striper bite has returned according to reports. Near the dam lures like a Long A or a Savage Glide Swimmer are great hard baits. Down deep by the dam and above the power lines are reported as the hottest spots. Lures that mimic trout are working for stripers as well as the old tried and true anchovies. Submersible lights fished during the new moon are an effective way to catch stripers. The next new moon will be August 21st. For Largemouth Bass try spinner baits and various plastics in a purple with flakes or pumpkin color. There is a wheelchair accessible fishing pier just south of the main launch ramp at Katherine’s Landing. If you fish Mohave and are having luck, please e-mail me at gcummins@azgfd.gov so I can share your successes with others. WILLOW BEACH – No reports from Willow Beach recently. Try using lures that mimic trout or the tried and true anchovies. COLORADO RIVER BELOW DAVIS DAM– The bite remains strong for stripers. Try your favorite lure or use anchovies for stripers. TOPOCK GORGE– Use swimmer baits and pencil poppers if anchovies aren’t working. Stripers are being taken and are ranging between 1-4 pounds. TOPOCK MARSH –Try chicken livers or worms for catfish. You can access the marsh by boat at the North Dike, Catfish Paradise, and Five-Mile Landing. Get out early due to the hot weather but the recent rains have cooled the area off and help stimulate the bite. For more information on the marsh, contact the Havasu National Wildlife Refuge at (760) 326-3853 or go to http://www.fws.gov/southwest/refuges/arizona/havasu/index.html. DEAD HORSE RANCH STATE PARK –Bring a variety of baits just in case the fish aren’t biting. Try small spinners or spoons, night crawlers or any other bait. Bass bite is still hot as Michael reports. He caught and released 6 nice Largemouth Bass, ranging from 2½ to 5 lbs. All of his fish were caught on spinnerbaits. If you fish Dead Horse please e-mail me at gcummins@azgfd.gov so I can share your successes with others. VERDE RIVER (throughout Verde Valley) –The smallmouth bass and catfish bite increased but the bass that are caught are on the small side and you can keep all you catch. Bring a variety of bait so you can change if the bite is absent. 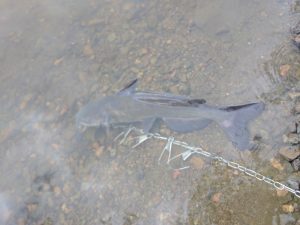 FAIN LAKE — The channel catfish that were stocked in June are not being taken out as frequently as before but there should be some holdovers. GOLDWATER LAKE —Try several colors of power bait and power eggs and if you don’t get bites try night crawlers or small spinners. They are a great option if you are not getting bites with other baits. Michael reports that 1½ inch Crappie Tubes & Acme Castmasters lures work very well on the trout. If you fish Goldwater and are having luck, please e-mail me at gcummins@azgfd.gov so I can share your successes with others. GRANITE BASIN LAKE – Bite has been slow to nonexistent. If you fish Granite Basin Lake and are having luck, please e-mail me at gcummins@azgfd.gov so I can share your successes with others. LYNX LAKE –Change baits if you are not having any luck and move down the shore a few hundred feet. Later in the morning the trout move to the 14-35 feet in depth. Try yellow colored power bait or power eggs for trout if the spinners don’t work. The gold colored Super Duper is a distant second. Night crawlers are always good bait that can work on most fish. Lynx also can be an exciting place to fish for carp. Common carp are very strong fighters and will provide excellent table fair. A quick search on the internet will produce tasty recipes for these robust fish. Corn and an assortment of other baits will attract these fish. Lynx can be difficult to fish, if you are not catching anything try moving to a new spot. MINGUS LAKE –Trout were stocked in mid-June and will be stocked again the first week of September. The best bait is white or pink Powerbait, fished under a bobber or a spinner with a silver blade are doing well. Someone illegally stocked yellow bullhead into Mingus several years ago. These fish compete directly with the trout and keep growth rates very low. If you witness anyone, anywhere, moving fish like bass, bluegill, catfish and stocking them, please report it to our Operation Game Thief Hotline at 1-800-352-0700. Illegal stockings cost YOU money! WATSON –Try top-water baits or weedless frogs for bass. Bring nightcrawlers if your other baits are not working. If you fish Watson and are having luck, please e-mail me at gcummins@azgfd.gov so I can share your successes with others. WILLOW CREEK RESERVOIR – Try top water baits or weedless frogs for bass. Bring night crawlers if your other baits are not working. Upon returning from a week’s vacation there were a number of exciting fish reports waiting. Striper boils were reported to be much closer to my home port at Wahweap. Normally large boils require traveling to the San Juan or Good Hope Bay. The reported boils were a short boat ride away at Castle Rock, Warm Creek and Navajo. With great anticipation we loaded up and headed out this morning before dawn. See the details in the full Aug. 15 report from Wayne Gustaveson (www.wayneswords.com). LEES FERRY – See the full June 30 fishing report from Lees Ferry Anglers. Well folks, I found a free moment in life and figured you all need and update from out here. Right now bass fishing is pretty decent early morning and evenings. If you’re in to catching a lot of dinks then you’re going to have a blast. The average bass being caught is 8 inches long. They’re still fun to catch though. Junior and I made it out a couple of times last week and that’s all we caught. We threw plastics and training wheels and caught a few on each. Everything we caught were up in 2 to 5 feet of water. Catfishing is still decent. We caught some nice-sized cats on plastics, so about anything should work for them. Crappie fishing has finally turned on up by the dam. I’m not sure what time the night bite starts but they’re catching 15 -20 a night. Some going 2 pounds. Both ramps are still in operation. Bring bug spray and lots of water. We’re still hitting 110 degrees out. It’s kind of a chilly 110, but warmish anyway. LAKE HAVASU – John Galbearth of Bass Tackle Masters reported: The striper bite is good in the morning hours from 6 a.m. to 8 a.m. from the mouth of the river south to Califprnia Bay. Boils have been occurring sporadically during this time. Troll Rat-L-Traps or Pointer 128 minnow plugs in areas where the Grebes (water birds) are congregating over schools of shad. The catfish bite is excellent in the evening hours in bays where grass isn’t too thick. Live bluegills, cut mackerel and anchovies work well now, be sure to throw out extra chum to attract cats from longer distances. Smallmouth and largemouth bass are hitting poppers, buzzbaits and Super Spooks in the early a.m. hours. Fish the outside edges of floating weedmats. Carolina-rigged plastics like brush hogs, curly tail Powerworms and senkos are working well over submerged weedbeds in 8-15 feet of water — 3/8- to 1/2-ounce weight with 10- or 12-pound test works well. Send your reports to BFishing@azgfd.gov. PARKER STRIP – No report. YUMA AREA PONDS – No new reports. Catfish stockings are on hiatus for the summer but will return in late September/early october. See the stocking schedule. COLORADO RIVER (between Picacho State Park and Imperial Dam, including backwaters and Martinez Lake) – Our May survey showed healthy populations of flatheads in the Imperial Division. MARTINEZ LAKE — No report. Please send your fishing reports from Southern Arizona to bfishing@azgfd.gov.